A selection of products ready to ship out. All photos courtesy of L'Officine Universelle Buly. 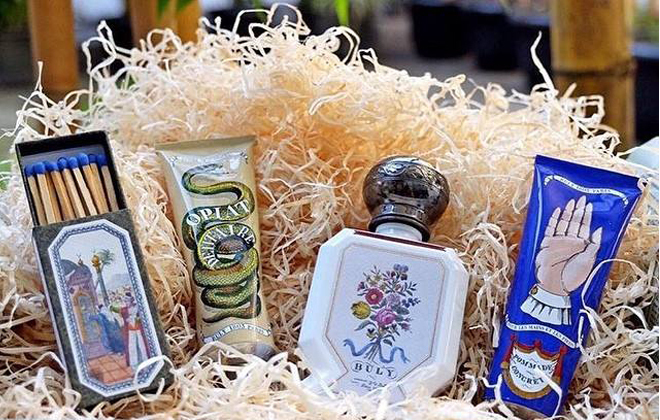 The story of the famed French apothecary Buly has about as many subtle hints and turns as the all natural water-based scents they have been creating since the early 19th century. 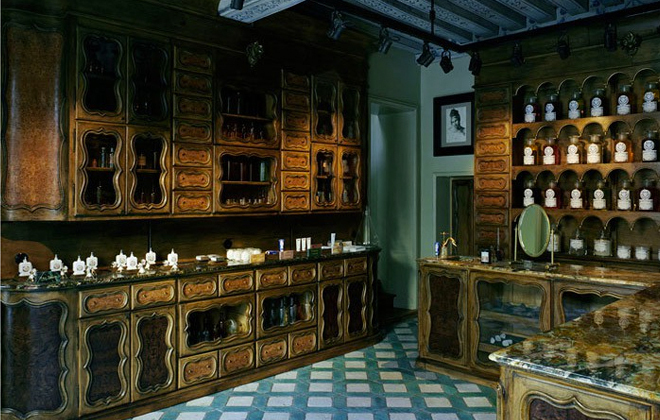 That is to say, it is a story not only of the revolutionary perfumer Jean Vincent Bully, who first opened the doors to his perfumarie in 1803, but also of the ever talented Ramdane Touhami and Victoire de Taillac who have created a new vision for Buly for the 21st century. The enchanting interior of L’Officine Universelle Buly. Look at that woodwork! 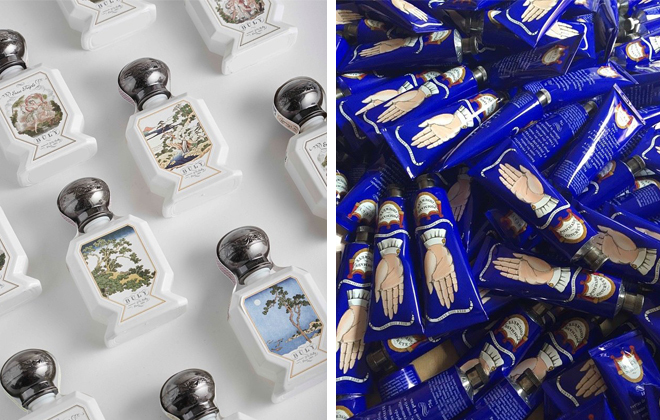 In 2014 Touhami, the French-Moroccan creative director behind the successful relaunch of 17th Century candle maker Cire Trudon, set out in search of a historic French beauty brand that he could enliven, much in the same way he was able to rebrand and revitalize the centuries-old candle maker Cire Trudon into a globally recognized fragrance house. Along with his wife and partner Victoire, the pair researched dozens of historic officines from the 15th to 19th centuries. When they came across Jean Vincent Bully’s archives at at Les Archives Départementales de la Seine, they knew they had found their perfect match. I just love these hand-drawn illustrations from Buly’s website. 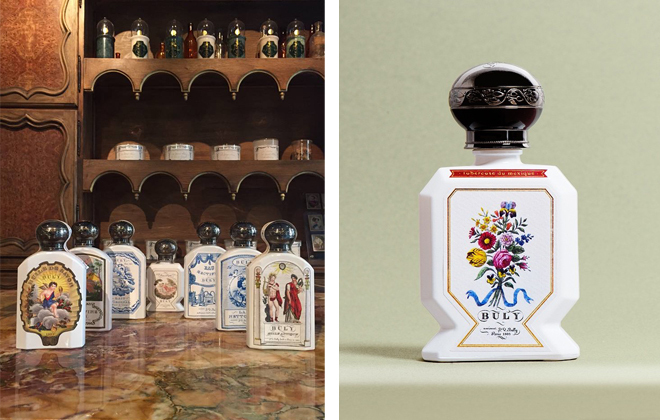 Bully, who had been trained in the ancien regime, made a name for himself in the art of perfumery and skin care by charging into the 19th century and incorporating the new science of cosmetics to create some of Europe’s most sought after lotions and perfumes. As he established himself in Parisian culture, (it is said he was the inspiration for Honoré de Balzac’s 1837 novel “César Birotteau”) his store on Rue St.-Honoré grew with many offerings as well. 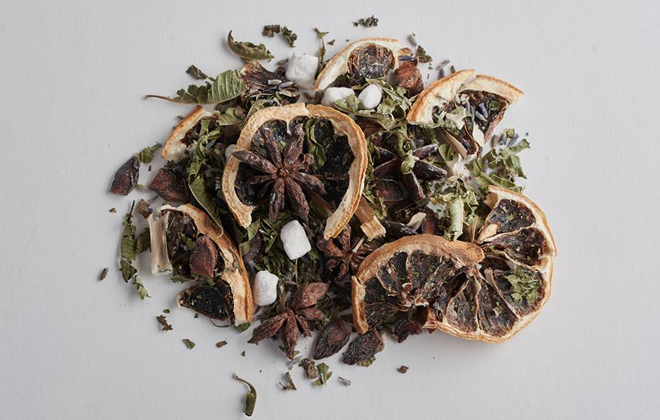 All natural ingredients for their potpourri. Bully’s famed invention was his vinaigres de toilette – a lotion using scented vinegar to tone and maintain complexion, which was later patented as vinaigre de Bully. Bully used water-based formulas, along with the essence of rare and exotic plants to create some of the most highly regarded scents in Europe. In 1830, with impending political instability in France, Bully closed up shop on Rue St.-Honoré, but worked tirelessly with his son Claud Bully to preserve his archives of recipes, methods, and ingredients, along with filing patents for most of his life’s work. 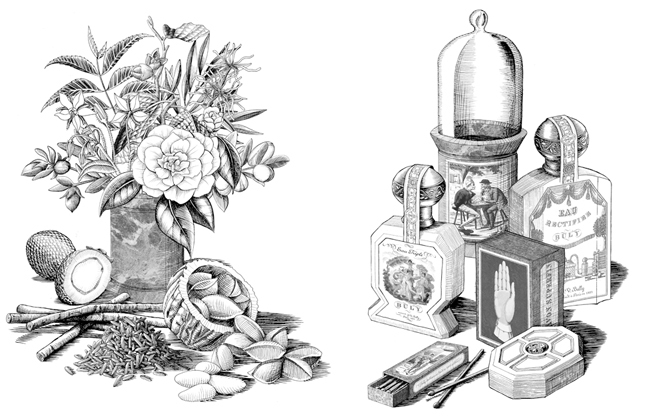 The brand continued throughout the 19th and early 20th century under different licenses in France, but the reputation remained as the highest quality, all natural cosmetics. I love this arrangement of flowers, antique mirror and fabulous Buly products. The 21st century iteration of L’Officine Universelle Buly (dropping the double L), opened its doors on Rue de Bonaparte in 2014, with a whole new design inspired by the original storefront. Touhami and de Taillac did not stop at the decor, they took Bully’s archives and began re-creating products from the original recipes in a modern French lab, all with natural ingredients. Just smitten with the hand-drawn labels. Makes for some fabulous packaging! 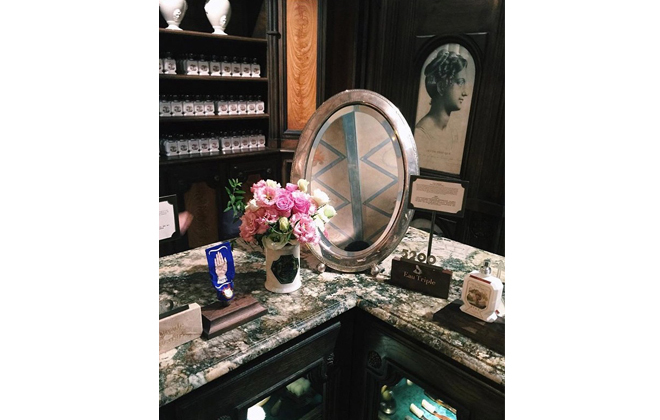 The Left Bank store still carries many of Bully’s original formulas, such as Pommade Virginale, and the line of water-based, all natural fragrances that are distilled from exotic plants and flowers in almost the exact same way as they were in the 19th century. They also sell natural face scrubs, soaps and other beauty products. Other wonderful touches include the hand drawn calligraphy written labels for the made-to-order fragrances, which harken back to the original Bully’s methods, and the beautifully designed labels that recall the old 19th century style. Entering this beautiful little storefront truly is like going back in time! This is a must see on your next visit to Paris. It certainly makes for the top of my list!